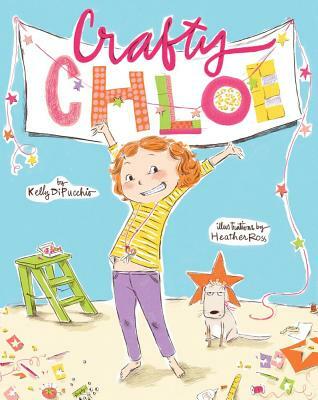 Fancy Nancy meets Martha Stewart in Crafty Chloe, the adorable DIY star of a new picture book series! When another girl has already purchased the most perfect birthday gift for Chloe's friend Emma, Chloe decides she'll make a present -- something you can't buy in a store. But crafting isn't easy, and it's beginning to look like she won't have a great idea in time. Fortunately, with a good doodle session and a whole lot of glitter to inspire her, Chloe figures out just the thing to save the day -- and with a little help from her trusty glue gun, she just might save a friendship, too!